Most, if not all, of us at some time in our lives experience personal difficulties. It is quite normal to struggle and to need help. Sometimes we can talk things through with a friend, family member or partner. Sometimes we need a little more. Working with a therapist can help you get to a place of greater understanding and move forward. Hello and welcome to my site. I am Rebecca Taylor, a qualified accredited UKCP Psychotherapist working in West Yorkshire. I work with individuals, couples and young people. My specialist interest is working with people with a diagnosis or traits of Autism Spectrum Disorder (ASD), in particular Asperger's Syndrome (AS). I also work with family members affected by ASD. I would like to invite you to explore my site and if you have any questions or queries or you want to progress further, please telephone me or contact me here. If you scroll down to the bottom of this home page you will find a short video I have filmed. I wanted to try and give you a better sense of who I am as a therapist. I hope that it will help you decide whether or not you could work with me. I offer a free initial telephone conversation, or if you want you could come over and have a free informal meeting for 30 minutes or so. I could make you a drink and you could begin to get a sense of whether or not you could work with me. If it would make you feel a little easier you could bring someone with you for our first meeting as the aim is for us to meet and see if the sort of therapy that I offer may be helpful to you. Please note if you are making an enquiry to me via e-mail I would advise that you keep the enquiry information to a minimum – to best protect sensitive information. We can discuss detail when we speak on the phone. Autism Spectrum Disorder (eg Aspergers). I provide psychotherapy in a safe, confidential and non-judgemental environment. I am DBS checked and I am registered with the United Kingdom Council of Psychotherapists (UKCP). I have worked therapeutically for nearly 20 years with individuals, couples and young people in a variety of settings: primary and secondary clinical services within the NHS, private sector organisations, government departments, voluntary sector services and Employee Assisted Programmes (EAP). In addition to my private practice I have enjoyed the demands and challenges of being Service Manager and later Clinical Director of psychotherapy and counselling services within West Yorkshire. 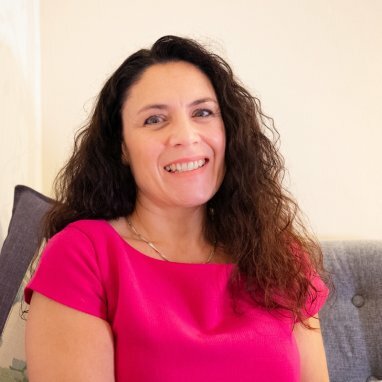 I have employed many therapists and counsellors over the years and been clinically responsible for not only the services I managed but thousands of primary and secondary care clients. Initial telephone conversation and informal meeting. For most people, making contact for the first time can be difficult which is why I suggest an initial telephone call. It is my way of helping to break the ice and it's free! Alternatively, you could come over for 30 minutes or so for a free informal meeting. I could make you a drink and you can get a sense of how it would be to work with me. If it would make it easier you could bring someone with you as the aim is for you to make that first step. After our telephone conversation or informal meeting and if we both agree to proceed, then I will invite you come over for an assessment. The assessment lasts for about an hour and a half, which I offer at a reduced rate, as I believe it is really important and helps to underpin our work together. The assessment offers us a space to look at you and your life. You may feel overwhelmed and confused right now and not able to make sense of things but try not to worry as it is my job to identify your presenting issues and begin to understand you better. At the end of your assessment I will have gathered information about what brings you to therapy and understand better who you are and what you want and need. We will talk about how my way of working can help you and we can discuss time frames. This is very much a collaborative partnership, we work together using both of our qualities and skills to get you to where you want to be. I will also explain my contract and how I record and store your information. I collect and keep some personal information from my clients. The purpose of this is to record who I am seeing and ensure that I am practicing effectively and able to communicate with clients as necessary for our work. I keep: our contract, brief notes of our sessions, your contact details (name, address, telephone number (s), email addresses, relevant emails and texts as recommended by professional bodies and insurers. Paper documents are kept in a locked filing cabinet. The therapy contract signed at the beginning of our work is stored separately to session notes. Email addresses and mobile numbers are kept on password protected devices only. When information is no longer required it is deleted or shredded. Paper records are kept for 7 years after the therapy has ended in accordance with professional and insurance guidelines. There are limits to the protection of private information where disclosure is legally mandated and/or concerns child protection and significant risk of harm. You are entitled to have access to the personal data that I hold about you via a subject access request . I will respond to your request within one calendar month . In the unlikely event of a personal data breach I will inform you as soon as possible, record it and report it within 72 hours to the relevant supervisory authority. See the Information Commissioner’s website https://ico.org.uk for further information about data protection legislation.